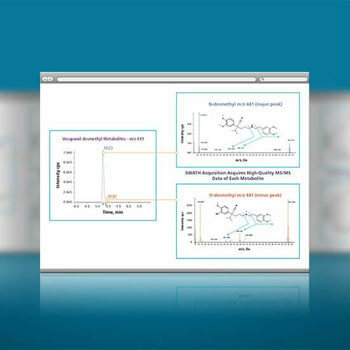 Advance Your Drug Metabolism Analysis: Comprehensive drug metabolism studies are vital in protecting both patient safety and the reputation of the pharma organization. Researchers in drug development have the enormous responsibility of safeguarding new drug candidates by analyzing pre-clinical and clinical samples to detect harmful metabolites. 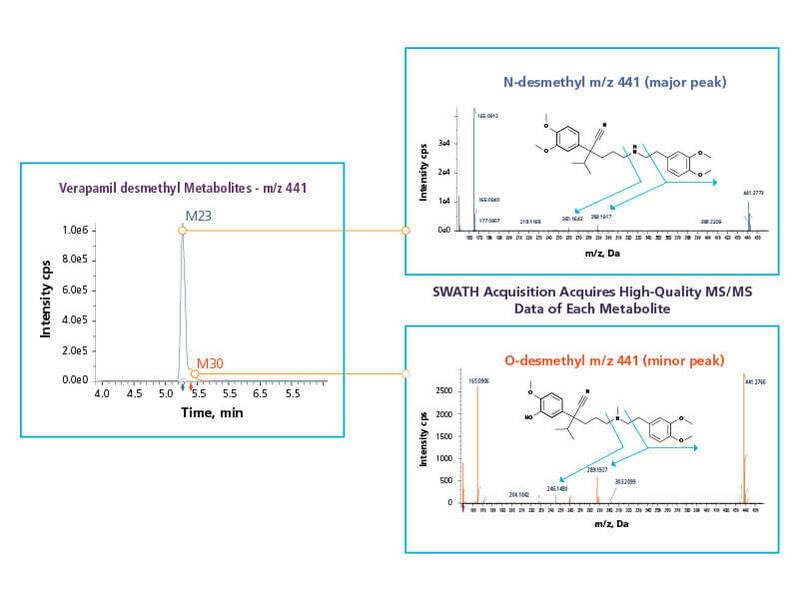 Oversights can be detrimental, and you need absolute confidence that you can meticulously identify every metabolite in a sample, as quickly and efficiently as possible. SCIEX offers innovative comprehensive drug metabolism solutions, specifically with this need in mind. 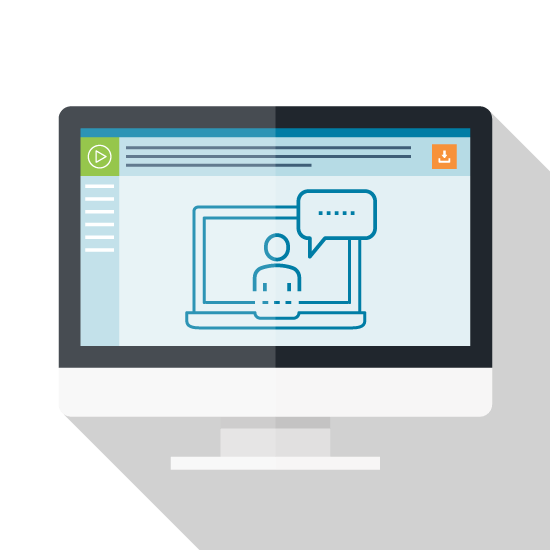 We bring together the best-in-class LS-MS technology with powerful data processing software to transform your drug metabolism workflows. With our hardware, you will experience extraordinary sample coverage, sensitivity, linear dynamic range and acquisition speed. You will see low level metabolites and follow the high-level parent compound accurately in the same experiment. That’s not all. 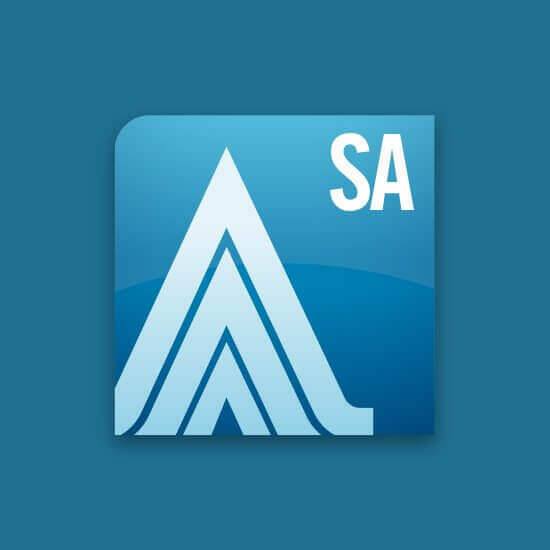 Our powerful software takes you from data to answers in minutes, removing the need for manual cumbersome data processing and analysis. 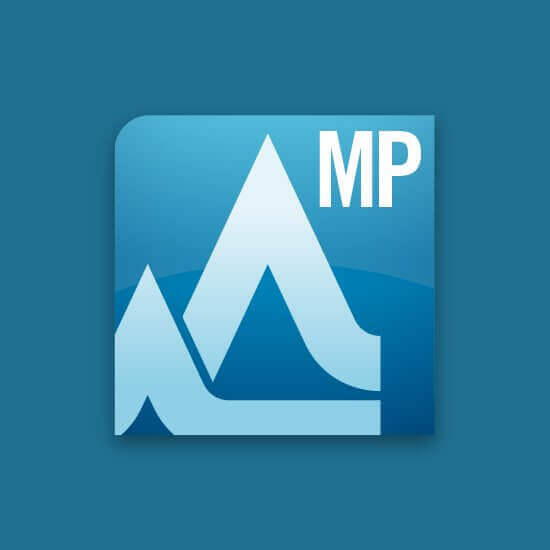 With advanced processing logic, you benefit from lightning speed interpretation, visualization, and reporting of your comprehensive metabolism and catabolism data. Whether you work in small molecule drugs or more complex large molecule biotherapeutics, the comprehensive drug metabolism solutions from SCIEX will empower you to do more, see more and achieve more. 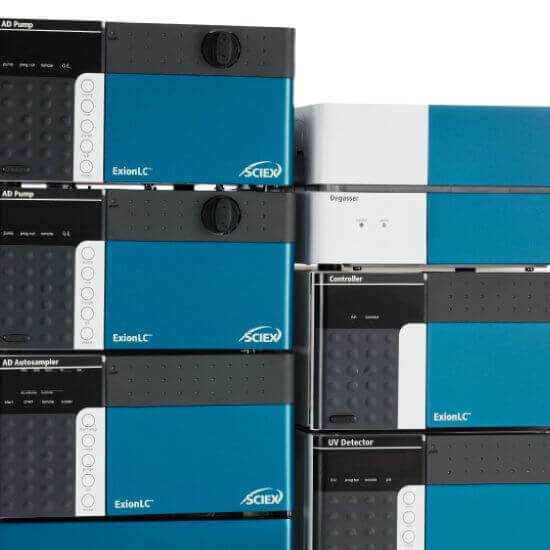 Our innovative LC-MS solutions tackle the challenges of comprehensive metabolism head-on, so you can complete your studies as quickly as possible, and keep the drug development process moving. Never again will you miss low level or toxic metabolites, need to perform multiple injections to get complete sample data coverage, or be faced with cumbersome complex data processing. You can’t afford to miss low abundance metabolites in your sample. 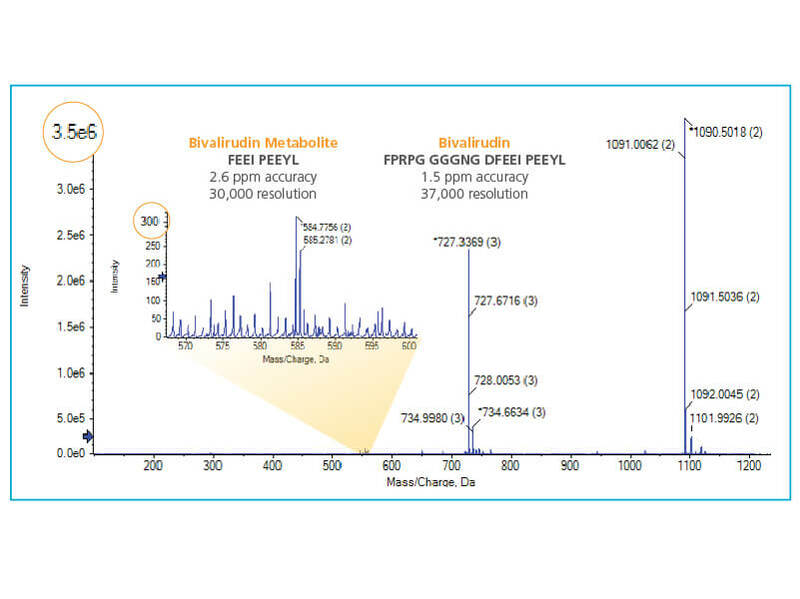 That’s why the TripleTOF 6600 LC-MS System is the best choice for comprehensive metabolite and catabolite detection. 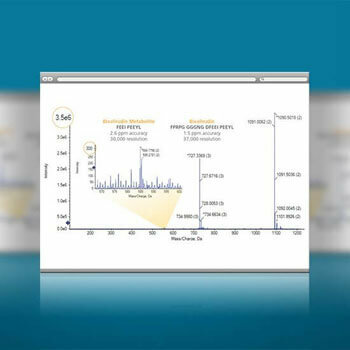 The TripleTOF 6600 System not only gives you the extremely high sensitivity to see those low-level metabolites, but its >5 orders of dynamic range means you can accurately follow the high level parent compound in the same experiment. Without both sensitivity and dynamic range, you risk missing metabolites - something you can’t afford to do. 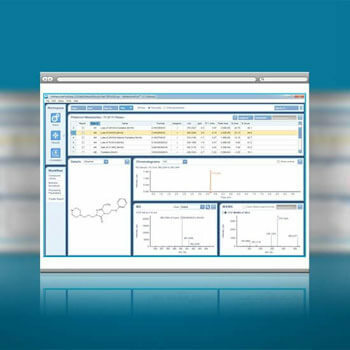 All-in-one MetabolitePilot Software 2.0 makes metabolite identification fast and efficient with batch data import and automated method generation for up to 200 samples at a time. 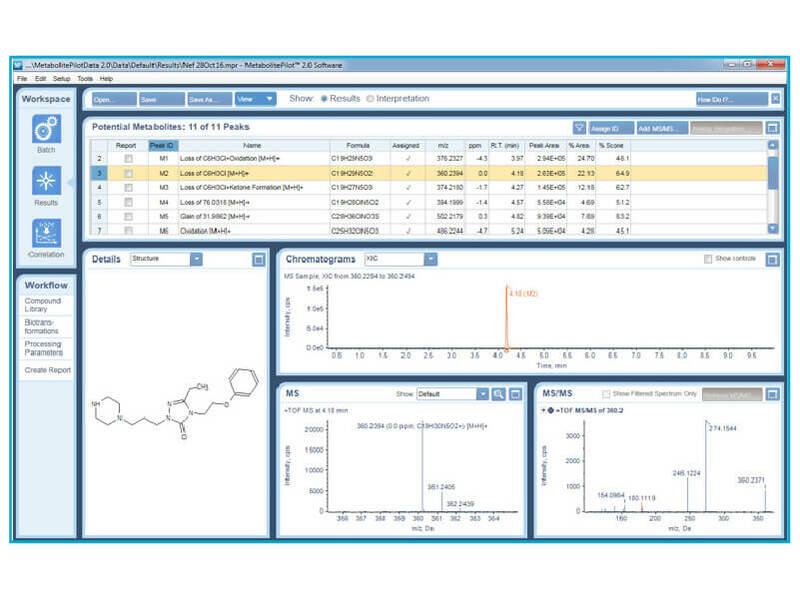 MetabolitePilot Software interprets and correlates metabolite structures and profiles, so you always see your data in context. 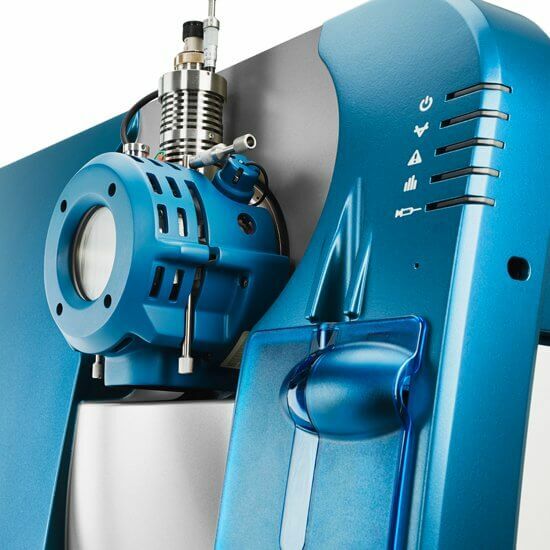 If you are responsible for performing comprehensive drug metabolism studies, you need a solution that gives you absolute confidence that you can see all the metabolites and catabolites in a drug candidate sample.